"Yeah, yeah. I get it. It records my cameras." 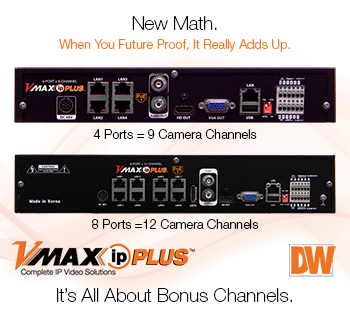 However, DW® VMAX® IP Plus™ PoE NVRs deliver some features that might surprise you. The need for cybersecurity compounds by the minute. 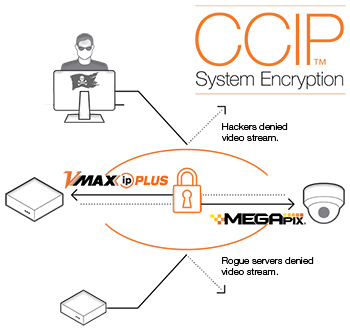 When you use a VMAX® IP Plus™ with most MEGApix® cameras, you can create an extra layer of password protection between the NVR and the camera. We call it Closed Circuit IP™ or CCIP™ System Encryption. A VMAX® IP Plus™ NVR offers features you might only expect from a premium VMS or network server. This includes graphical representations of system health and camera health, with the option to be alerted via email if there is a problem. 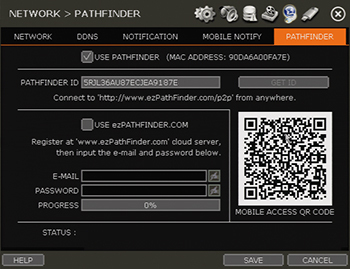 Why open ports on your router and struggle with remote configuration when all you have to do is scan a QR code and create a secure connection to your VMAX® IP Plus™ NVR that you can view in any browser or on your tablet and smartphone? A VMAX® IP Plus™ makes it possible for you to use the camera on your tablet or smartphone as a surveillance camera, recorded like your other cameras. All you need is the DW Witness™ app for iOS® or Android® and an open channel on your NVR. You literally hold a surveillance camera in the palm of your hand that you can use to capture any event wherever you are. Your ROI adds up quickly with a VMAX® IP Plus™ 4- or 8-port NVR. How so? Because the 4-port model will actually manage nine channels and the 8-port model will manage 12 channels. You just add a PoE switch for the additional cameras. DW® VMAX® IP Plus™ PoE NVRs deliver more than you might expect. 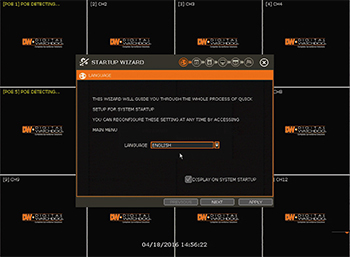 Please consider asking your professional integrator about DW® VMAX® IP Plus™ PoE Network Video Recorders.